On this episode of The MMA Report, Mike Heck joins Gunz and discusses UFC Fight Night – the early call with Dillashaw – was it justified? Also Conor. What is going to happen with Conor – will he face Cowboy Cerrone? Plus, is the UFC doing TOO many cards and oversaturating the sport? 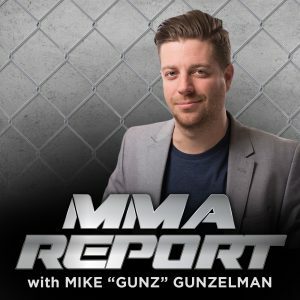 That and plenty more on this week’s The MMA Report!